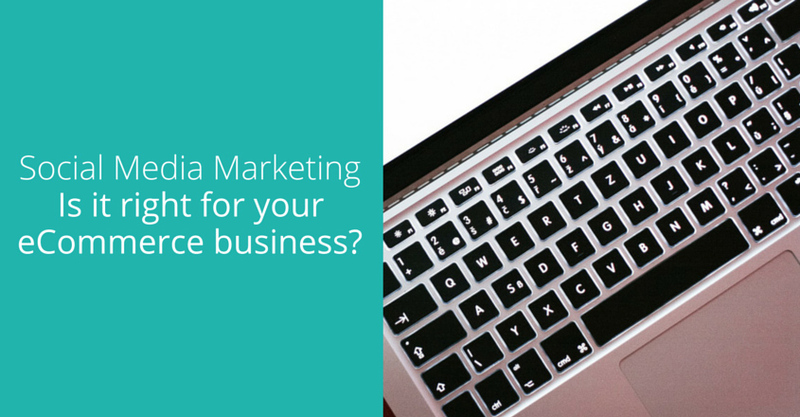 One of the most common answers I hear to the question of “how do I grow sales for my eCommerce business” is: social media. But what does that mean? 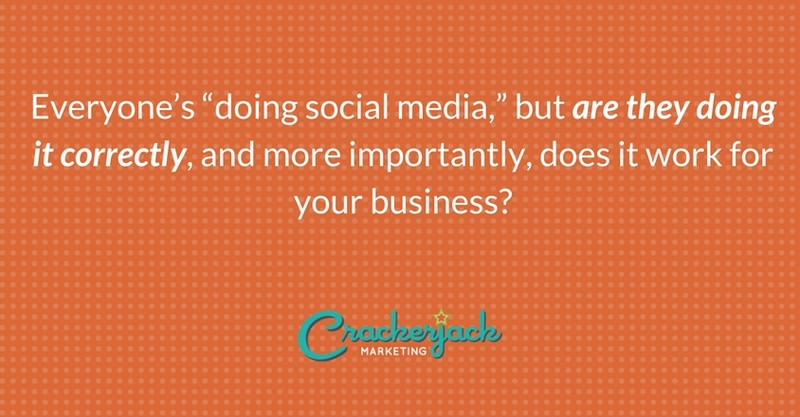 Everyone’s “doing social media,” but are they doing it correctly, and more importantly, does it work for your business? By “doing social media,” people generally mean: using social media platforms to achieve an objective in your business. For most businesses that objective will be either raising brand awareness or achieving sales. However, there are other objectives such as community engagement, providing customer service, and to humanize your brand. In recent years, the volume of businesses using Facebook, Twitter and other social platforms has risen greatly. 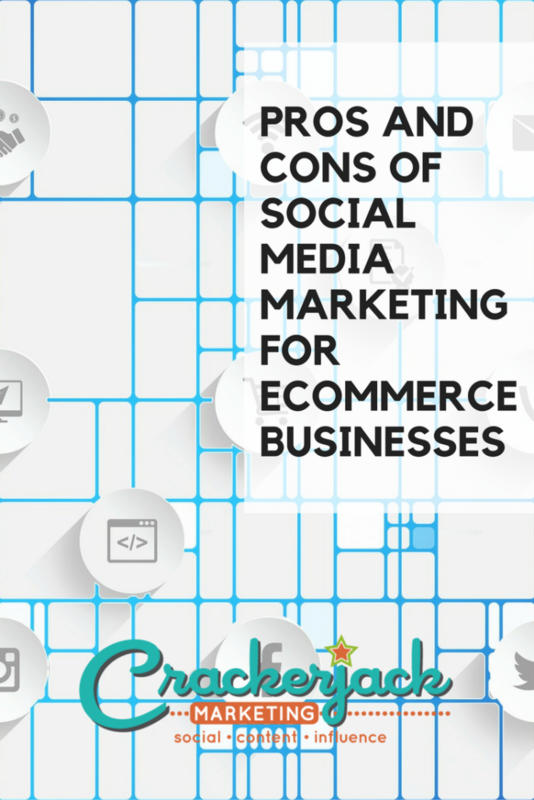 However, a lot of businesses are only on these networks because it’s the “in thing.” It’s really important to evaluate if social media is an appropriate marketing channel for your business, so consider these Pros and Cons. There must be a reason why so many people are doing it, right? People look online before purchasing products. In fact, 67% of consumers look at online reviews before making a purchase. This means, if you’re selling a product and can get good consumer buzz in social media, it’s likely that potential customers will see that info. Therefore, social can be great for brand awareness and customer acquisition. Social media is big business, and growing. Over 71% of businesses are planning to increase their social media budget for 2017. Establishing yourself now will help you to get an edge before your competitors do. Data, lots of it. Over 90% of the world’s data was created in the past two years. Listening to and analyzing social media can provide you with insights into your industry, customers demographics and how demand is evolving. Build relationships. Social media offers you the opportunity to build a relationship with your customers to increase customer lifetime value and acquire more potential customers. Additionally, these relationships help you to work on product development, when you get feedback from your customers (which you can also do via social media!). Social media influencers are a thing. Connecting your brand with top influencers in your industry can do great things for your business; you get to “borrow” their audience every time they mention your brand. A 2015 study found that marketers get $9.60 in earned media for every $1 spent in influence marketing – a very good investment. Difficult to quantify. For enterprise businesses, this may be easier, but for small businesses it may be difficult to effectively quantify what kind of return on investment you’re achieving with social media. Particularly when you goal is community engagement or other, less tangible, objectives. Time-consuming. Coming up with ideas, creating the relevant imagery, and posting to different social media platforms can be a difficult task. While tools such as Hootsuite or Buffer can streamline the process, it can still be a time-consuming activity. Difficult to do well. There are tens of thousands of business currently trying to grow sales using social media and frankly, a large portion of them aren’t achieving their objectives. As such, becoming proficient with effective social media usage often requires a time and resource investment initially. One last consideration: it’s important to understand if your customers are actually active users of social media, and if so, what platforms. A fashion brand oriented towards younger consumers may have best success on Instagram, while a gardening line aimed at homeowners may see more engagement on Facebook. Hopefully, these pros and cons have created some food for thought in your decision to use social media. I’d love to hear if they’ve helped you form your opinion about how to use social media in your own eCommerce business. About the Author: Daniel runs marketing for Shoprocket.co in London, a service which enables any website, blog or Facebook Page to add Ecommerce in minutes. Follow Shoprocket on Twitter @shop_rocket.